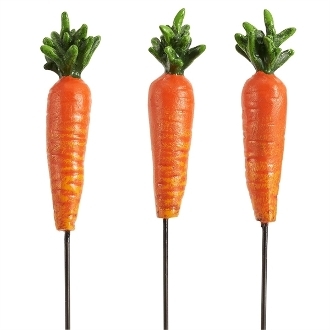 Set/3 Carrot Picks for Merriment Mini Fairy Gardening. Full Description: These carrots are a must for your mini veggie garden! Made of resin and metal. Features all-weather paint.